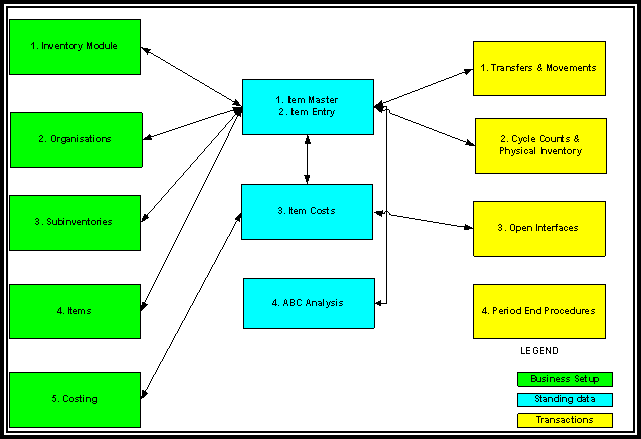 Items and several of their attributes (configurations) can be defined either at the "Master" or "Organization" level. If designated as a "Master" level, the item and/or its attribute are the same across all defined organizations. 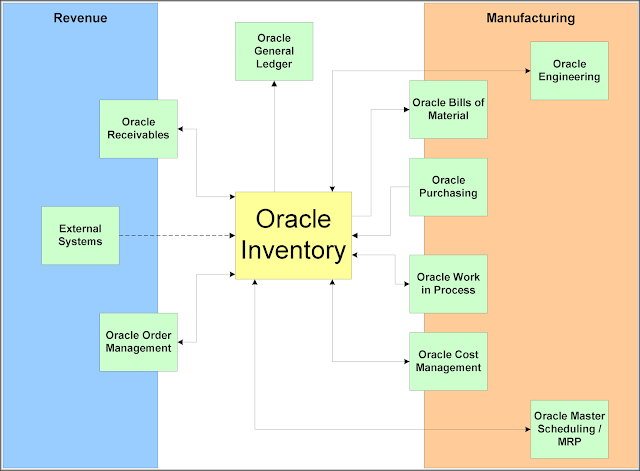 If an attribute or item is defined at the "Organisation" level, each item or attribute can have different values in each organization. This concept will be discussed further in each applicable section. 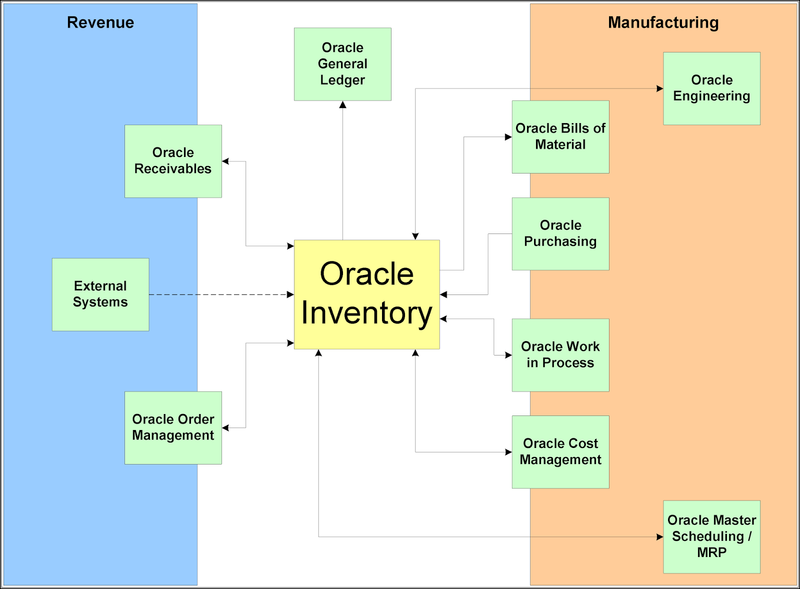 The chart below illustrates how these business setups interface with Inventory standing data and transactions.